It is seen as an opportunity by the organization to draw worldwide attention to a subject of major importance to global health each year. 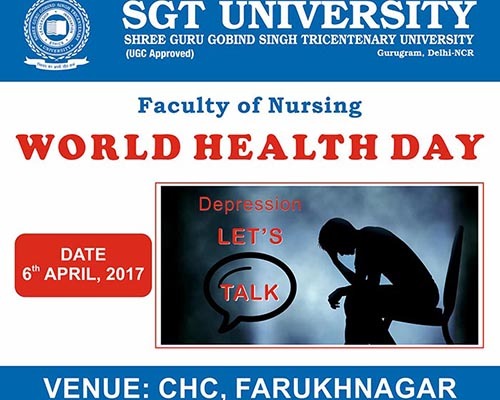 In order to fulfill the objective, Faculty of Nursing, SGT University is proud to announce its celebrations by spreading awareness about “Depression” at Community Health Centre, Farukhnagar on 6th April 2017. Let’s join our hands together for the common cause.